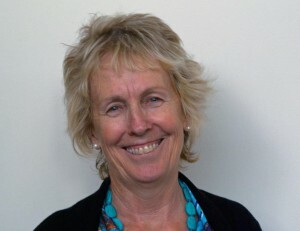 Irene Paton is the person you will see when you come for your sessions. Her role is to work with you as a team to find ways for you to have a rich, vital and meaningful life. You can expect a professional and respectful service where you will learn ways to achieve your goals and live in ways that are more aligned to your values. 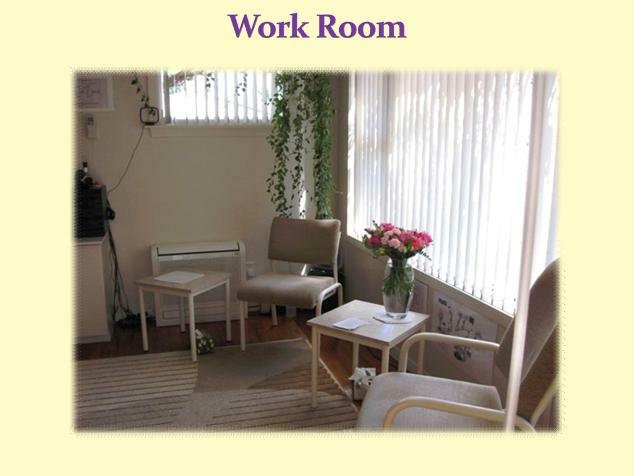 The practice is located at 61 Teesdale Street, Burnside in an office attached to a home environment. 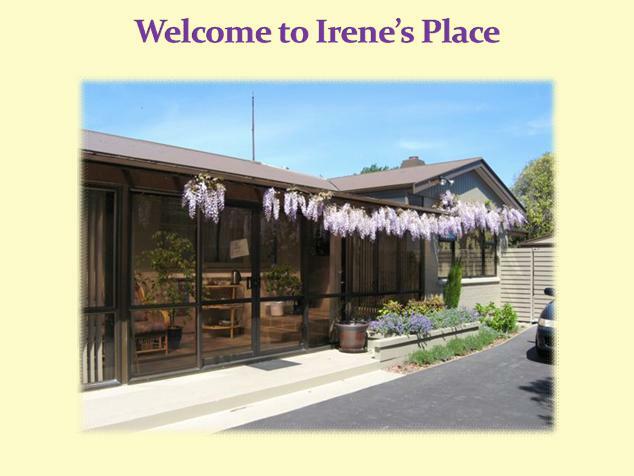 It is a private, peaceful, quiet space where parking is easy. Consumers of the service have given positive feedback about how safe they feel in this environment. Psychological Perspectives works with adults both as individuals and couples who are interested in making the most of their potential. Particular areas of interest are Relationship and/or sexual functioning, Repairing and rebuilding after an affair, Healing and recovery from trauma and abuse, Coping with death, dying and redundancy, Depression, grief and loss, Issues arising from adoption, Issues associated with Gay and Lesbian and Transgender. 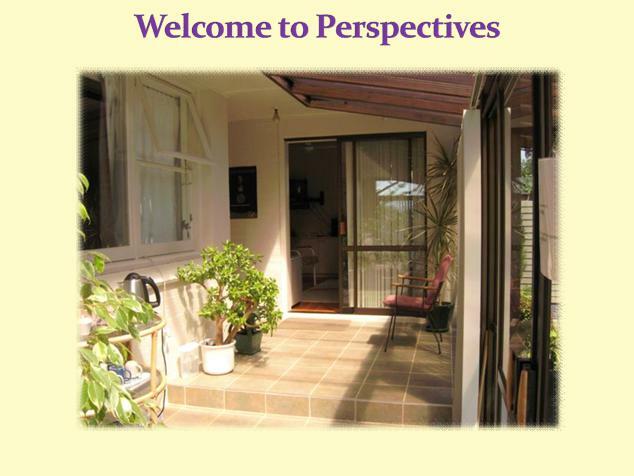 Welcome to Psychological Perspectives Ltd, Counselling and Supervision. Perspectives has been operating since 1986, providing a service to the Central Otago area initially and then from 1991 in an office based in a home location in the North-west of Christchurch.